An essential point in evaluating the utility of measuring temperaments is the stability of the instrument used especially in the presence of mental disorders. One of the most commonly used instruments in the clinical setting is the Temperament Evaluation of Memphis, Pisa, Paris and San Diego Auto-questionnaire (TEMPS-A). To our knowledge, the TEMPS-A’s stability in an outpatient adult clinical setting has not been evaluated. To assess the stability of the effect of temperament, time and clinical intervention. A sample of 89 adult outpatients was assessed at baseline and follow-up on their TEMPS-A scores. 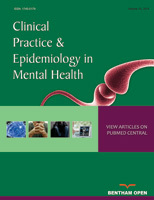 Diagnoses of mental disorders were reached through clinical interviews, and the severity of the conditions was clinically assessed at baseline and follow-up on a Likert scale. Changes in scores were examined in terms of z-scores, and possible predictors of the change in scores were assessed. Eighty-nine percent of all subjects’ temperaments scores did not change or changed less than one z-score, and specifically: 84.2% in the case of depressive, 89.9% for cyclothymic, 92.1% for hyperthymic, 92.2% for irritable, and 86.5% for anxious temperaments. For all of the five temperaments, age, gender, time difference between baseline and follow up, number of diagnoses, and percent improvement were not significantly associated with the change in temperament scores. Well-established severity measures would add to the validity of any future findings. Shifts in temperament scores between baseline and follow-up were minor, thus proving the stability of temperaments and the TEMPS-A scale in a clinical setting. Keywords: Anxious, Cyclothymic, Dysthymic, Hyperthymic, Irritable, Temps A.